Beretta, makers of fine shotguns, rifles, and pistols, also owns Finnish rifle-maker SAKO. In this article, which first appeared in the Beretta Blog, hunting guide Mia Anstine writes about her visit to the Sako factory and her live-fire shooting test to secure her hunting permit. CLICK HERE for full story. What a joy to wake up in Finland and prepare for a tour of Sako. I enjoyed a European breakfast with a view of downtown Helsinki. Shortly I joined the hosts and writer’s group, and we boarded the bus for a ride to Riihimaki, to the manufacturing facility. 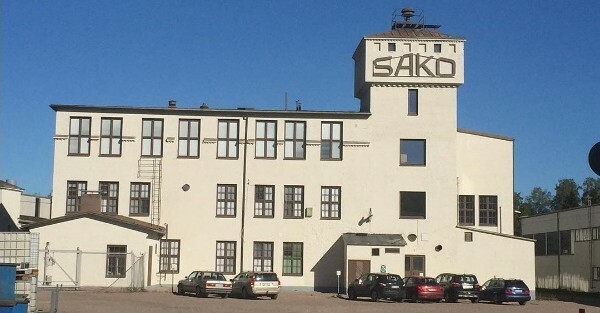 Sako built its original manufacturing facility during World War I. To this day they still utilize the original buildings but have also grown over the years to include larger production areas and updated equipment. 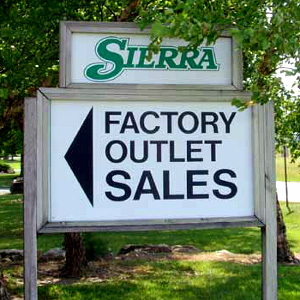 Beretta Holding’s acquisition of the Sako company brought additional opportunity for growth. The company added state-of-the-art machinery which has aided in increased production. However, they’ve still maintained their signature quality-built products by keeping the human element integrated throughout the production line. After a quick tour of the Sako facility, we headed to the shooting range. We shot a number or Sako and Tikka rifles, but first, we sighted in our hunting rifles in preparation for a brown bear and moose hunt. I would be hunting with a Sako model 85 Hunter chambered in 9.3 mm. (Editor: For fans of this big 0.366 caliber, Sako offers both 9.3x62mm and 9.3x66mm Sako chamberings). 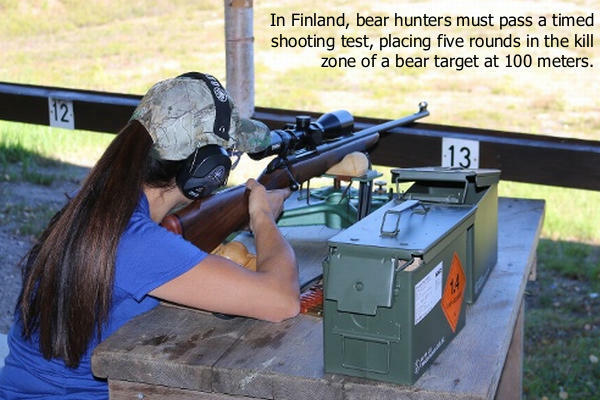 To hunt bear in Finland, you must first pass a hunting test as well as shooting test. The timed, live-fire event [requires] five rounds in the kill zone of a brown bear at 100 meters. Of course, the ever-courteous Finns had ladies go first, so I felt more than a bit of pressure, and I know I shot a bit faster than necessary. Regardless, I cycled rounds and passed with ease. Next, we headed to a different bay at the shooting range where we experienced the hunting test from days of old. In this test, we shot from standing position at a moose target. First, we shot three rounds in the kill zone, from 100 meters, and then three at the moose target as it raced by, from right-to-left and left-to-right, at 20 kilometers per hour. While this test is no longer required, it was a pleasure to try our hands at it. Share the post "SAKO Factory Tour — Visiting Production Facility in Finland"
Who wouldn’t like a look inside the Accuracy International (AI) factory in England? Thanks to The Telegraph, a British media outlet, you can do just that. The Telegraph got its cameras inside AI’s production facility “at a discreet location on the outskirts of Portsmouth”. 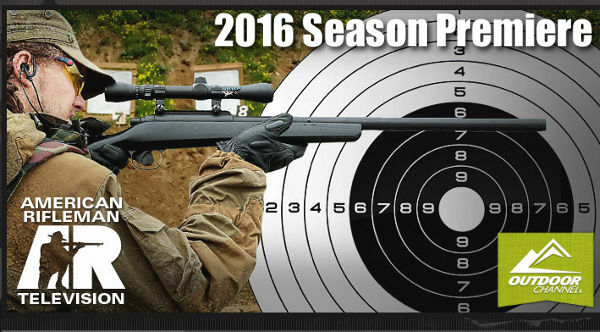 Accuracy International is perhaps the most noted manufacturer of bolt-action sniper rifles in the Western world. AI was founded in the 1980s by Dave Caig, Malcolm Cooper, and Dave Walls, three competitive rifle shooters. The company took its name from Cooper’s shop: Accuracy International Shooting Sports. The first project was a smallbore target rifle for civilians. Then the trio decided to build a 7.62×51 sniper rifle, inspired by a UK Ministry of Defense (MoD) competition to replace the venerable L42A1. Working in a garage workshop, Walls and his partners combined their knowledge of target shooting with input from active military personnel to create the first AI sniper rifle, the L96A1. This ground-breaking design won the MoD contract and immediately proved successful in the field. In an interview with The Telegraph, Walls explained: “The company’s early success was based on not just the what the founders knew from target shooting but also what they learnt from the users, the military users. They went out and they sought inputs from those users, and based on that they designed their very first sniper rifle, and it was very successful.” Today Accuracy International continues to make rugged, versatile, and ultra-accurate sniper rifles for military, law enforcement, and private use. 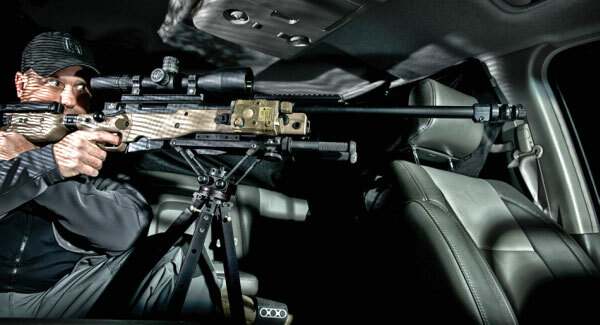 This Accuracy International AT (on gimbaled mount) is not your average SUV Accessory. Share the post "Accuracy International — Factory Tour Video from the UK"
Many of our readers have been interested in learning how modern bullets are made. While a “boutique” bullet-maker, supplied with appropriate cores and jackets, can craft bullets using relatively simple hand dies and manual presses, factory production is different. The major bullet-makers, such as Barnes, employ huge, complex machines to craft their projectiles on an assembly line. Modern hunting bullets are made with a variety of sophisticated (and expensive) machines, such as Computer Numerical Control (CNC) lathes, giant multi-stage presses, and hydraulic extruding machines that draw lead ingots into lead wire. 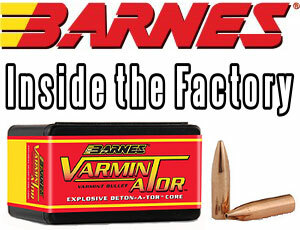 Barnes offers an “inside look” at the bullet production process in a series of videos filmed at its Mona, UT factory. We’ve embedded four videos from the series here. These videos can also be viewed on the Barnes Bullets YouTube Channel. 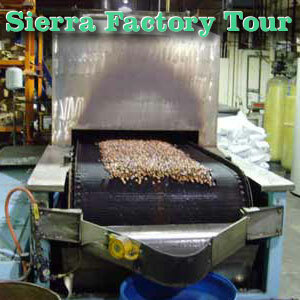 Here is the transfer press used in the production of Varminator and MPG Bullets. The process begins with a giant spool of flat copper material. The copper is stamped into jackets and eventually the formed Varminator bullets are ejected one by one into a bucket. 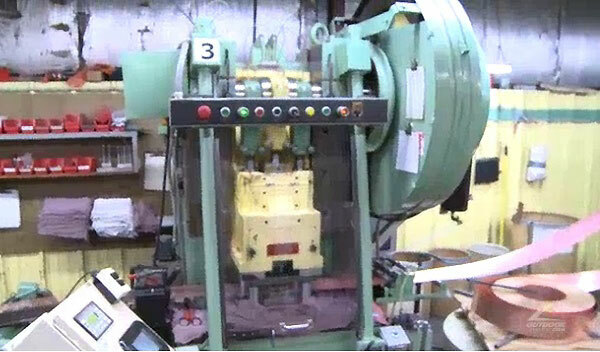 In the video below, a Bar-Feed CNC crafts mono-bloc bullets from metal bar stock. Barnes uses a small CNC lathe to turn .50-caliber bullets from brass bar stock. 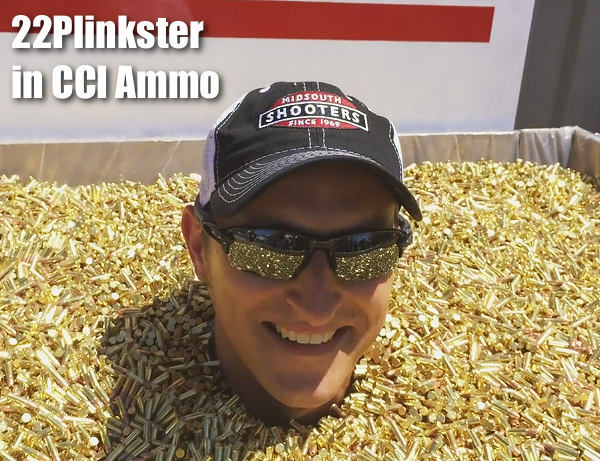 We’re not sure which bullet is being made in this video. The material looks to be sintered metal. In the close-ups you can gold-colored shavings from when the machine was previously used for CNC-turned brass bullets. Barnes regularly tests bullet samples for accuracy. In the video below, a Barnes technician loads sample rounds and tests them for accuracy in a 100-yard tunnel. The rounds are shot through a special fixture — basically a barreled action connected to parallel rods on either side. This allows the testing fixture to slide straight back on recoil (see it move back at 1:07-08 minute mark). Note how the tester actuates the trigger, which is oriented upwards, just the opposite of a normal rifle. The technician taps the upward-pointing trigger shoe lightly with a metal rod. Could this upside-down trigger orientation be useful in benchrest shooting — perhaps with railguns? It could make for an interesting experiment. Story suggestion by EdLongrange. We welcome reader submissions. 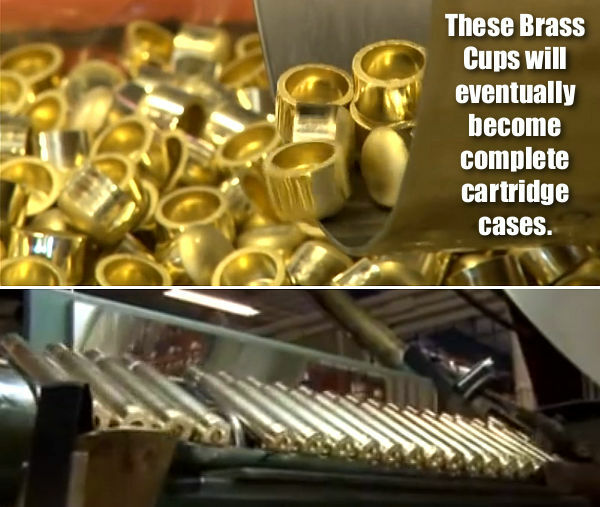 Share the post "How Bullets Are Made — Videos Reveal Process at Barnes Bullets"
Ever wondered how Hornady bullets and ammunition are made? You’ll see every stage of production in this interesting video from the Outdoor Channel. Starting with raw materials (lead, copper, and brass), this 9-minute “factory tour” video shows how bullet cores are produced, how jackets are crafted, and how cartridge cases are formed, headstamped, and inspected. If you watch carefully you’ll also see the massive, multi-stage cartridge loading machines. Now one of the most successful manufacturers of ammunition and reloading components in the world, Hornady Manufacturing has come a long way from its early days. In 1949, Founder Joyce Hornady started the company “making bullets… in a garage down on 4th street” in Grand Island, Nebraska. 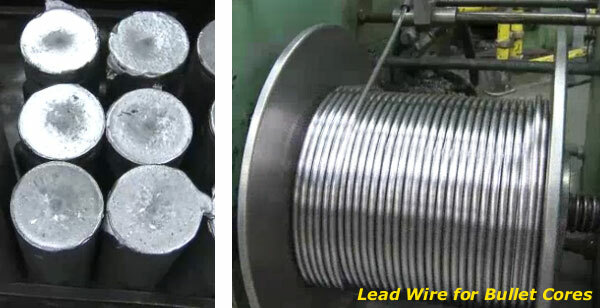 Lead cylinders are pressed into lead wire used for bullet cores. Spools of flat copper are fed into cupping machines. The punched cups become bullet jackets. 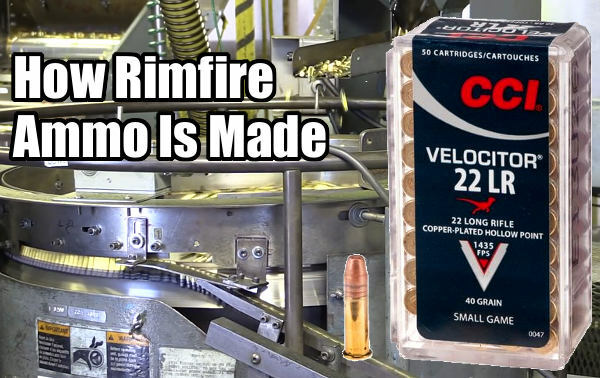 All cartridge cases and loaded rounds are hand-inspected. During World War II, Joyce Hornady served as a marksmanship instructor at the Cornhusker Army Ammunition Plant. Following the War, Joyce and his family stayed in Grand Island, Nebraska and opened a small sporting goods retail store that sold everything from basketballs to shooting supplies. After WWII, shooters and hunters used surplus military ammunition. This surplus ammo however, did not offer the accuracy or performance needed for target shooting, big game, or varmint hunting. Recognizing the need for better bullets, Hornady and his original partner Vernon Speer built a machine that converted spent 22 rimfire cases into bullet jackets, and then into bullets. The business relationship between Hornady and Speer later faltered, and Vernon Speer moved to Lewiston, Idaho. Using a surplus bullet assembly press in a rented garage on 4th Street in Grand Island, Nebraska, Joyce Hornady began to produce his own .30-caliber bullet. The first year of business, Hornady Bullets had total sales of $10,000 – a figure that increased three-fold the next year. Hornady added equipment and workers, confident that more growth lay ahead. During the Korean War, Hornady earned contracts to produce a variety of products not associated with bullets — aluminum hearts for bracelets, and condenser cans for the government. After the war, the can material and the technology developed to produce them was utilized to make ultra-thin copper jackets for varmint bullets. In 1958, the company moved to its present location on the west edge of Grand Island. The new, larger facility featured an 8,000-square-foot plant. In 1960, Hornady added a 200-yard underground testing facility. 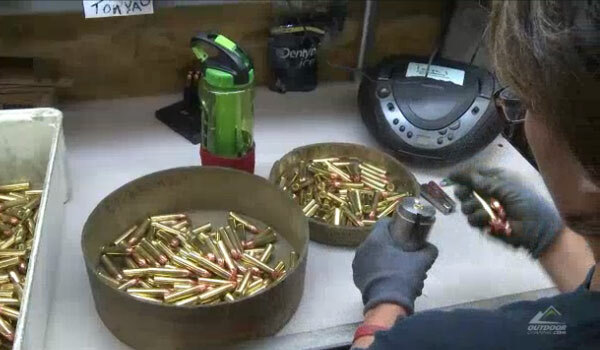 Share the post "Video Shows Hornady Ammo and Bullet Production Processes"